I have had these bumps on my chin for about three years now. They used to be a bit smaller, and there used to be less of them, but more have come over the years. Sometimes there are less of them depending on where I am at in my cycle, but nothing seems to make them go away. I have tried the affirm laser (several times), PDL laser, Salicylic acid peel, laser needling, Retin-a, Spironolactone, and a lot of natural remedies, but nothing makes them go away. My derm says it is possibly rosacea scarring or acne scarring, but she doesn't seem to know exactly. Does anyone else have these bumps on their chin? Does anyone have any recommendations for what might get rid of it? I'm open to anything. They depress me so much, and i can't believe there isnt' some solution out there. Made an account just to say I have this same exact thing on my chin. Had them since I was 17 or so (I'm 20 now). You should try posting this to reddit.com/r/skincareaddiction and see if you can get an answer. It's a pretty big community over there and maybe someone's dealt with the same thing. All I can say is that I don't think it's scarring. I had pimples/acne everywhere, except for my chin. No more pimples, but I still deal with these bumps and oily skin. Thank you. I will post there and try to see if I can find out anything. I will let you know if I do! 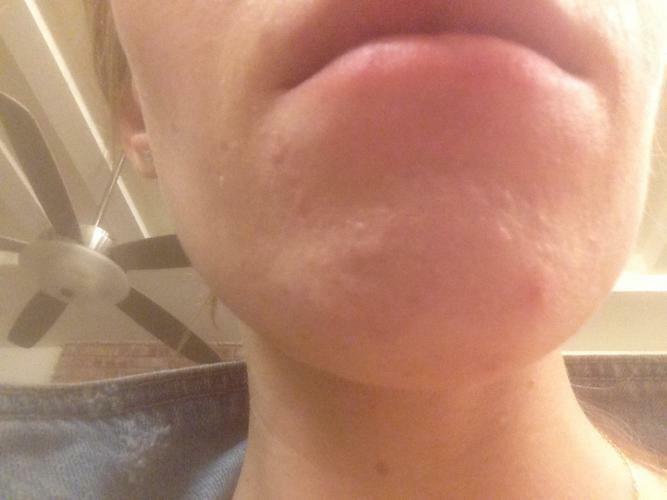 I've been using dermalmd scar serum on a scar on my chin and it's definitely making a difference. I use it once a day, usually at night. I have pretty sensitive skin and this hasn't caused any issues such as dry skin, rash, etc. Easy to apply and it doesn't have an offensive order. So far I'm pleased with the results. i have these types of bumps too. i had a few of them injected with kenalog it helped some. i need to go back and get more but the only doc that will do it is in nyc so for now i am doing dermapen treatments. i've had 3 of them and they really dont look much different but its helped my indented scars at least. good luck to you i know how hard this is to deal with. the doc in nyc said they were hypertrophic scars. I had perioral dermatitis and it looked exactly like that. Antibiotics helped for a little while but I only got completely rid of it after changing all of my washing products to ones without sodium laureth sulfate (shampoo, face wash, shower gel, toothpaste and hand wash).